Result in a bill for services that you didn’t need or didn’t even actually receive. Result in the installation of keystroke monitoring software that can compromise sensitive passwords and banking information. 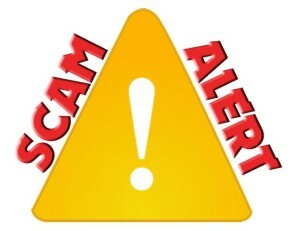 Direct you to fraudulent websites that will ask for credit card or banking information. Direct you to legitimate websites that will download remote access software onto your computer. The software will then enable the fake technician to change certain security settings and make your computer vulnerable to subsequent attacks. The single most important thing to remember when receiving a telephone call from someone claiming to be a Microsoft Technician is that Microsoft never makes unsolicited Technical Support phone calls. The same holds true for their business partners. If you didn’t specifically request a call, you won’t receive one. Anyone claiming to be from Microsoft Technical Support, when you did not specifically request a call, is trying to trick you. Don’t be fooled if the criminals know your name or your address. This is publicly available information, and cybercriminals know where to get it. Don’t be fooled if they seem to know which operating system that you use. They are guessing, and the relatively small number of operating systems in use make it good bet that they can guess correctly. Don’t provide user name or password information, and don’t go to any site that the caller suggests. These sites will likely download malware that will leave your computer vulnerable to subsequent attacks. You can help Microsoft put a stop to these criminals by reporting attempted telephone scams when they occur. Contact the real technical support experts at the Microsoft Answer Desk by calling any of our global customer service centers. In the U.S., you can also contact us by using the FTC Complaint Assistant form. In Canada, you may contact the Anti-Fraud Centre. If you receive an unsolicited “Tech Support” telephone call, ask for the caller’s contact information, then hang up and immediately report the call to the local authorities and to Microsoft. Don’t feel that you have been rude by hanging up – it was not really Microsoft on the phone. Never purchase any software or services from such calls, and never allow anyone you don’t know to remote access to your computer. Don’t blindly follow instructions provided by these fake technicians. These instructions are usually designed to give them remote access to your computer so that they can search for sensitive information. Never provide your credit card number or banking information to anyone who claims to be from Microsoft on an unsolicited call. You will really be giving that information to a criminal, and they will make good use of it! If this advice comes too late, and you have already been tricked into downloading malware, or if you have already allowed a fake Microsoft Technician to remotely access your computer, there are still some steps you can take to protect yourself. First, change all of your passwords. Do this even if you do not believe that they were all compromised. Second, use Microsoft Safety Scanner to search for installed malware. Finally, for operating systems earlier than Windows 8, install a free program called Microsoft Security Essentials. For Windows 8, install Windows Defender. These programs will help prevent malware from being loaded onto your computer in the future and can recommend specific actions that you might need to take.